Many congratulations are in order for the fantastic Isle of Wight synchronised ice skating teams who came home from the championships with Gold and Silver medals. All four Isle of Wight synchronised ice skating teams were out in force last weekend at the British Championships held at The Nottingham Ice arena. It’s a huge achievement to be skating at this level, but what makes it even more impressive is the fact that the Isle of Wight teams have had no home rink since the closure of Ryde Arena over a year ago. On day one The Wight Sequins (pictured below) – the youngest of the Isle of Wight teams – came a very credible eighth out 12 with their “Under the Sea” routine in the elementary section. 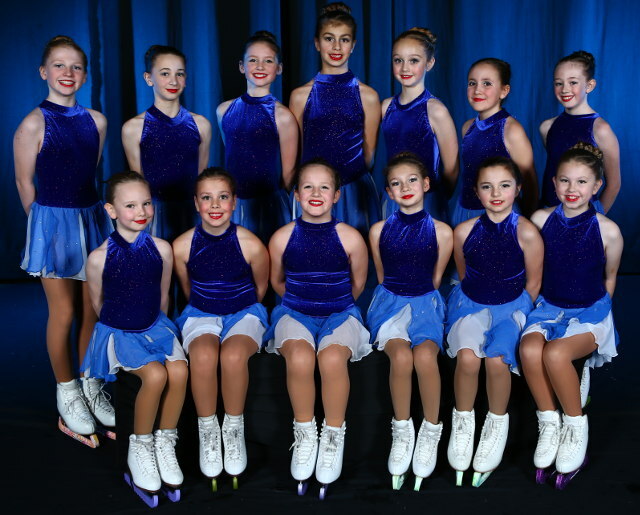 Wight Sparkles (pictured below) won Bronze with their “Beauty and the Beast” inspired routine in the juvenile section. 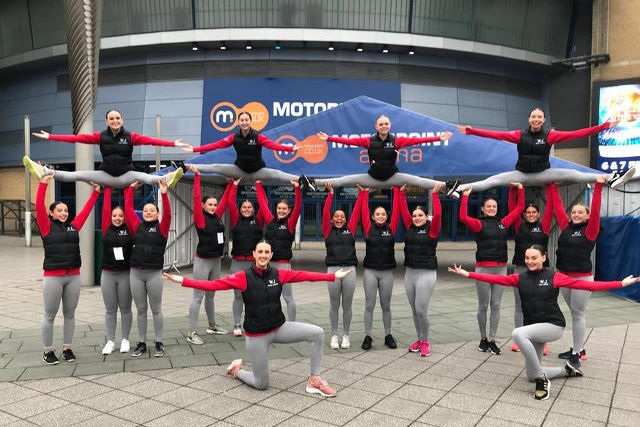 The Wight Jewels (pictured at top) competing in the senior section were in Silver position on day one after their short programme and after their space-inspired long routine, that includes some impressive lifts they secured Silver position. The Wight Crystals (pictured below) secured a Gold / British advanced novice Champions with their “Blues Brothers” routine. “Four teams and four Personal Best scores, I really can not ask for any more. “Bring on the rest of the season and stay focused, as we have just proven anything is possible especially for Isle of Wight teams without a rink to practice daily. “It just goes to show their passion and determination is amazing and we are still improving. “Massive thanks to Gosport , Basingstoke & Bracknell rinks for allowing my skaters to continue their dreams. Also for their parents support getting up at 3am to catch 4am Car Ferry to train at Gosport from 5am. 1 Comment on "Gold and Silver medals for Isle of Wight synchronised ice skating teams"